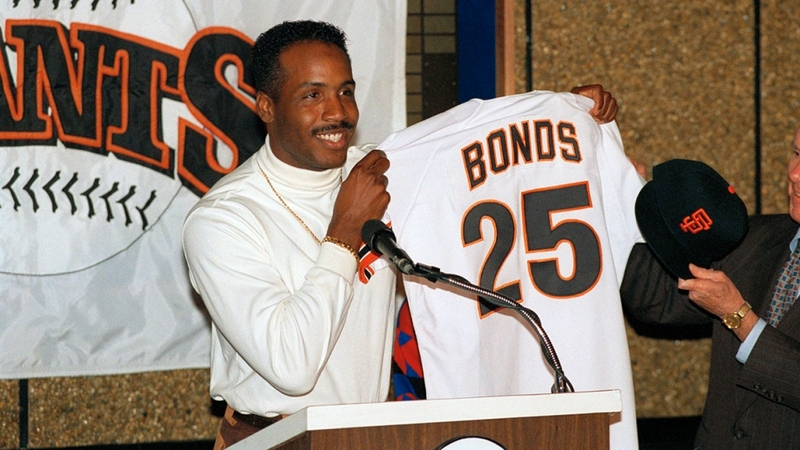 Barry Bonds holds up his new San Francisco Giants jersey at a news conference at Candlestick Park in San Francisco, Dec. 10, 1992. Barry Bonds fans are pushing for a "Barry Bronze," an eight-foot statue in honor of the controversial former slugger. Supporters launched a Kickstarter campaign Thursday and need $60,000 for the project. Organizers said they have a sculptor lined up ready to create the proposed bronze statue. As of Thursday night, they have raised just about $5,400. No word yet on where this possible statue would be placed. The organizer said he came up with the idea after the former San Francisco Giants left fielder was not inducted into baseball's Hall of Fame. 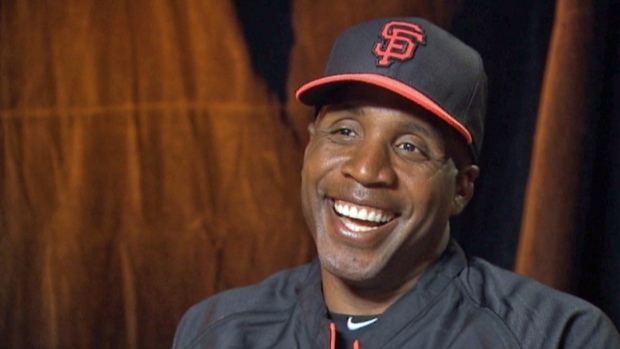 Barry Bonds is ready for a fresh start with the San Francisco Giants, not as a player, but as a hitting coach. He sits down for an exclusive one-on-one interview with NBC Bay Area's Raj Mathai.